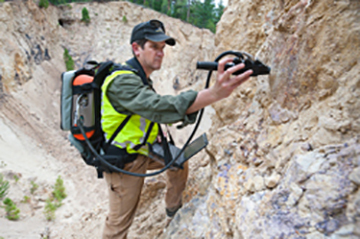 Trusted by the mining industry for more than a decade, the TerraSpec line of mineral analyzers provide portable, rapid and non-destructive analysis of minerals in the lab or the field. 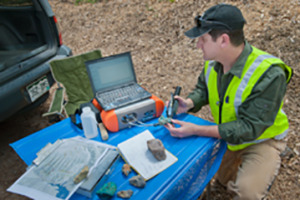 Mineral geologists appreciate the TerraSpec mineral analyzer’s portability and ability to rapidly identify key minerals. When used as an ore analyzer, results are presented in seconds to speed ore processing decisions. Your mineral exploration or mining production operation needs a TerraSpec mineral analyzer. Increase efficiency and optimize metal yield with high-throughput mineralogical analysis, and enjoy even greater data quality with the new TerraSpec 4 Standard-Res mining analyzer. Top mine operations around the world already trust ASD’s TerraSpec® line of mining instruments for their critical mineral analysis measurements. 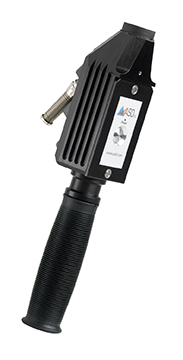 This flexible, near-infrared spectrometer accurately measures a wide variety of geologic samples, including clays and rocks with darker mineral content, offering better visibility into the ore sorting, processing and extraction processes. The rugged TerraSpec mineral and ore analyzer transitions easily from the production lab to the field, where it can quickly and accurately analyze ore feeds and tailings. Improved optics deliver more precise spectral data in a fraction of the time required by previous models. Upgraded feature recognition helps you analyze darker rock samples and improve management of ore variability. A 2x increase in performance for the SWIR 1/SWIR 2 regions leads to better alteration mineral analysis. Designed to boost yield and reduce mineral processing costs in mining production environments, the TerraSpec 4 Standard-Res mining analyzer supplies critical mineralogical information more quickly than other technologies. For example, the TerraSpec spectrometer’s impressive spectral response produces high-quality spectra used to identify clay minerals such as kaolinite, dickite, smectite or montmorillinite in real time with no sample prep required. The remarkably accurate spectral data requires less interpretation by lab technicians, providing for faster, more confident and more efficient ore analysis and processing. The TerraSpec 4 Standard-Res mining analyzer is ideal for a range of mining production measurement applications, including heap leach optimization, ore sorting, agglomeration optimization, and floatation ore feed control. 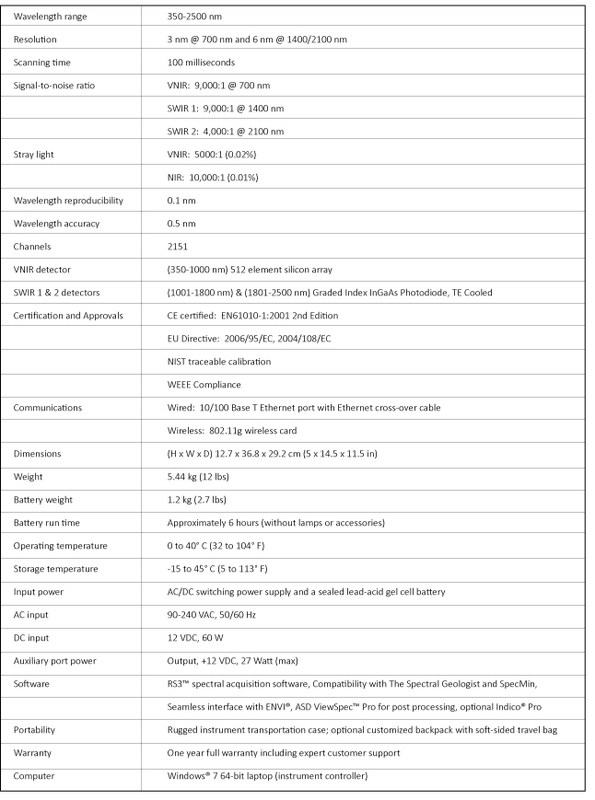 Fiber optic cables are available in a variety of lengths and styles for different application requirements. 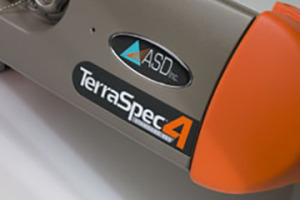 For more information on The TerraSpec 4 please visit our Knowledge Center. Recognized as the de facto technology for mineralogical analysis, the rugged portable TerraSpec mineral spectrometers are trusted by top geologists for performing fast, precise geologic exploration. 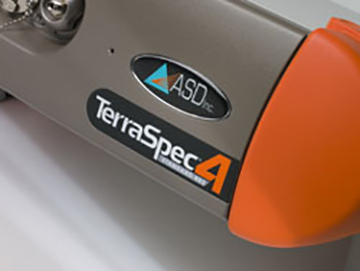 Now the upgraded TerraSpec 4 Hi-Res mineral analyzer brings new levels of efficacy to mineral exploration technology. 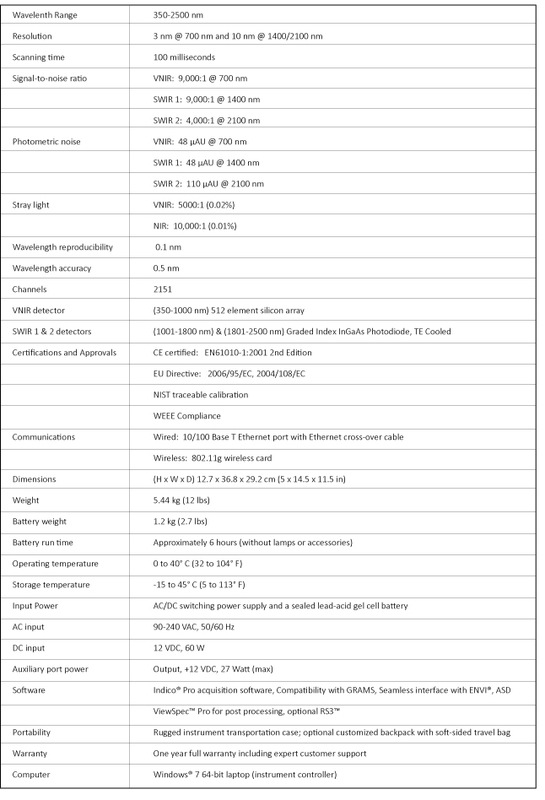 This state-of-the-art mineral spectrometer offers enhanced performance in the SWIR 1 and 2 regions and a 6 nm resolution to help you determine the viability of mineral exploration targets faster and more precisely than ever before. These enhancements provide you with the ability to capture accurate spectral data more quickly, especially for samples with darker mineral features. 2x the performance in the SWIR 1/SWIR 2 regions translates into better alteration mineral analysis. Improved portability features, including a new backpack and standard 802.11g Wi-Fi, help you move through exploration field sites more freely. 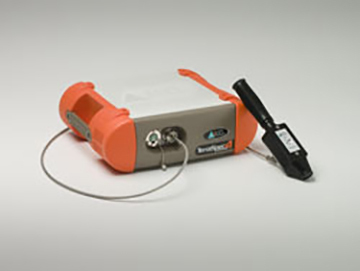 The TerraSpec 4 Hi-Res mineral analyzer has been optimized for a range of mineral exploration applications, including deposit mapping. Pair the TerraSpec 4 Hi-Res mineral analyzer with The Spectral Geologist to easily sort and analyze mineral data.